Induction hobs are becoming increasingly popular as a safe, clean and hassle-free way of cooking. 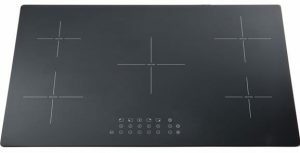 What makes induction hobs special is how they transfer heat from themselves to the pan– there’s no naked flame, and the hob itself doesn’t get so hot, which means that it’s safer because there’s less chance of an inquisitive child burning themselves if a hob is left switched on and unattended. Induction Hobs require special pans to work because the hob uses a magnetic field to induce electric currents in the metal of the pan. Many pans aren’t made of materials that respond to the magnets, so they simply won’t get hot. Only certain materials will work with an induction hob. To determine whether or not your pans will work, just hold a magnet near the bottom of the pan, and let go. If it sticks to the pan, the pot is magnetic, and it will work with an induction hob. If it doesn’t, then it won’t. Cast iron, steel and magnetic stainless steel pans will work with induction hobs. Aluminium, glass and copper pans won’t because they are not magnetic. You may have seen “induction pans” that are made of enamel or ceramic – these are specially made pans that have magnetic strips running through the base. These heat up and transfer heat to the rest of the pan. Not all stainless steel pans are suitable – only ones that contain some iron (to make them magnetic) will respond to the magnets in the hob. Can You Heat an Empty Pan On an Induction Hob? You can heat an empty pan using induction. Depending on what the pan is made of, you might find that there is some reduced heating effect further up the pan if it’s empty, but it should not be too noticeable because most pans are made of materials that conduct heat well. 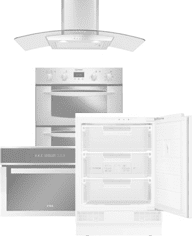 Buy an induction hob today from Ship It Appliances and get free & fast delivery! Discounted prices, expert advice and superb service. 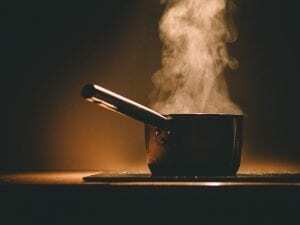 Is it Cheaper to Boil a Kettle on an Induction Hob? Induction hobs are incredibly fast at boiling water, and they offer great temperature control, too. In the past, it was significantly cheaper to boil a kettle using an induction hob than a gas hob, but gas prices have since fallen, so they are actually marginally more expensive for short periods of use. Induction hobs are, however, safer, cleaner, and better for longer use because they don’t waste heat. Can You Use Induction Pans On a Gas Hob? You can use an induction pan on a gas hob without any issues. In fact, a heavy-bottomed induction ready pan should be ideal for cooking on a normal electric hob or a gas hob. Previous Previous post: How Safe Are Induction Hobs?